The Dutch and Belgium members of the IPAF (The International Powered Access Federation) where guest at the Nooteboom factory in Wijchen last week. The IPAF promotes the safe and effective use of powered access equipment worldwide. It was a very interesting program which started early in the morning and ended at 17.00. 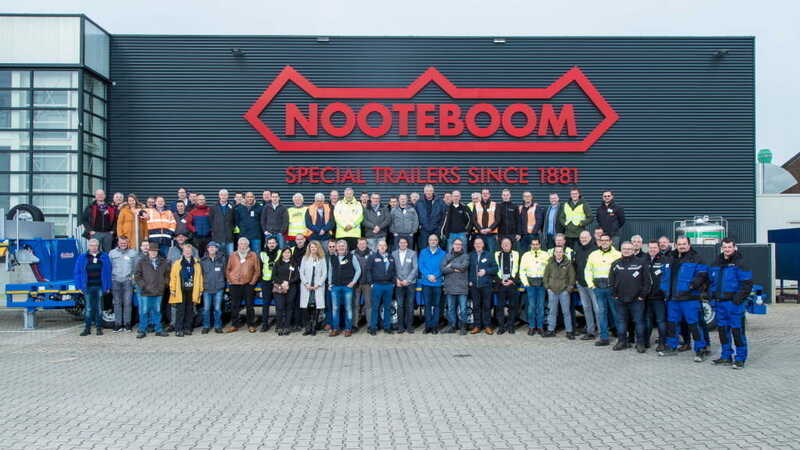 Besides the IPAF program, Nooteboom held several presentations and trailer demonstrations as well as a guided factory tour. The access platform industry is an important market segment for which Nooteboom supplies a wide range of dedicated trailers. We thank the IPAF organization and their members for visiting Nooteboom in Wijchen.